The most unassuming rapper in hip-hop. Things have been looking up for California-born rapper Vince Staples since the release of his debit album, Summertime '06, in 2015. Fresh from a major tour opening for non other than Donald Glover aka Childish Gambino, Staples is now headed out on a tour of his own for 2019. The inhaler-weilding, straight edge artist may not bear the face ink or ice insignia of his peers, but one listen to his lyrics will prove that Stapes is much more than he appears. Staples' "Smile, You're on Camera Tour" will see him traverse North America to cover 37 stops including most of the big cities and state capitals. Kicking off in Arizona, it comes in support of his third studio album, FM!. The 11-track record was produced by Kenny Beats and Hagler, and included a slew of guest appearances including the likes of Ty Dolla $ign and Jay Rock. Sound good to you? 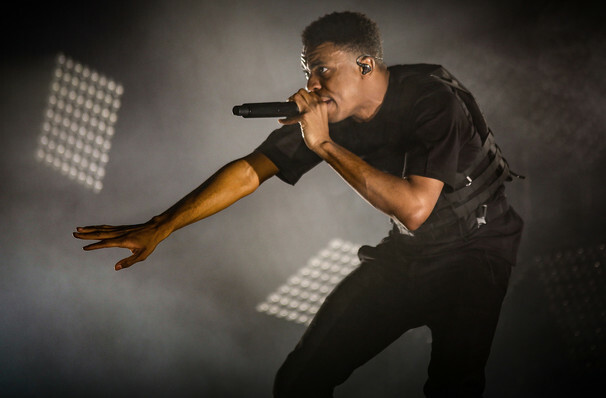 Share this page on social media and let your friends know about Vince Staples at Showbox SoDo. Please note: The term Showbox SoDo and/or Vince Staples as well as all associated graphics, logos, and/or other trademarks, tradenames or copyrights are the property of the Showbox SoDo and/or Vince Staples and are used herein for factual descriptive purposes only. We are in no way associated with or authorized by the Showbox SoDo and/or Vince Staples and neither that entity nor any of its affiliates have licensed or endorsed us to sell tickets, goods and or services in conjunction with their events.